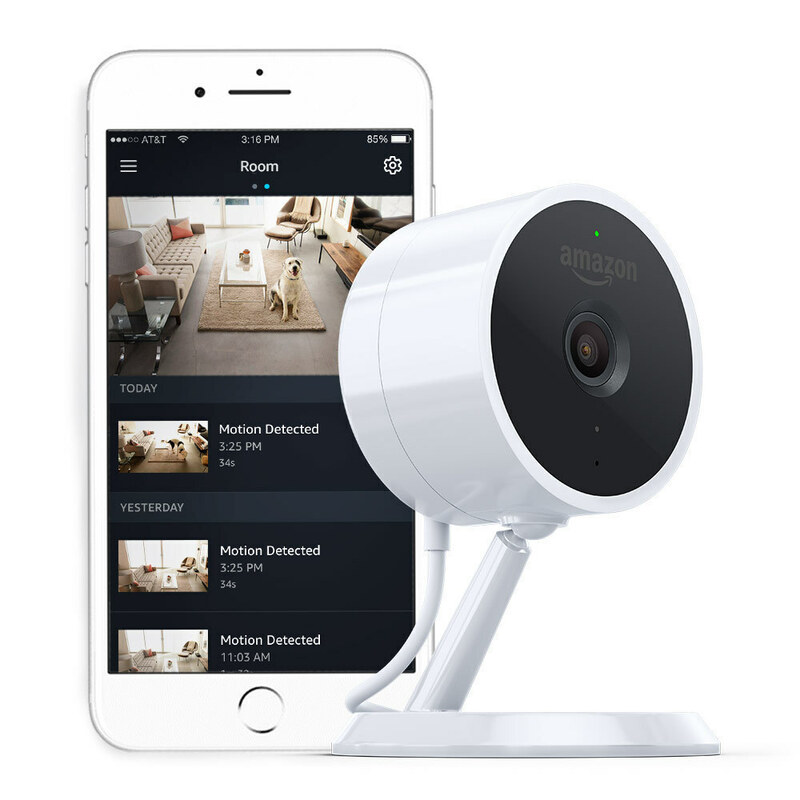 As Amazon Looks To Unlock Your Door, Taking Stock Of Meaning Of Privacy : All Tech Considered Amazon is rolling out "Key," a WiFi-connected camera linked to a smart door lock to allow package delivery inside your home. Privacy experts say Key will tell us a lot about our trust in corporations. Amazon's Cloud Cam is part of the Amazon Key in-home delivery system, rolling out on Wednesday. Privacy has long been a moving target, thanks to technology. For much of humanity's history, privacy referred to the physical environment — who can see or hear you. Consider one of the most famous law review articles, called "The Right To Privacy," penned in 1890 by Samuel Warren and future Supreme Court justice Louis Brandeis. The matter at hand was the invention of instant photo cameras, which turned private meetings into potentially semi-public or fully public ones, says Alessandro Acquisti, a professor at the Heinz College at Carnegie Mellon University. These days, much of what we used to do privately isn't that private. We wear step-counting trackers. We document our meals, gatherings and whereabouts online. We let giant tech companies into our homes through voice-activated home assistants. Our boundaries have evolved, and "privacy" has become a term more tightly associated with our digital selves: the troves of data, the bits of our identities and activities, sprinkled through a myriad of databases. Now, the physical and digital are merging in the shape of Amazon Key, rolling out on Wednesday. The new product from the retail giant allows delivery couriers to drop packages inside homes. The $250 "smart" lock is linked to Amazon's Cloud Cam, which gets installed inside near the door. The pitch is convenience and, in fact, security: You can watch the courier enter the house on your phone, or use the lock to grant access to, say, a dog walker or cleaning crew. This follows a similar pitch from a company called Latch, which makes keyless "smart" locks. It has has partnered with Walmart's Jet.com to get packages into apartment buildings. From the companies' perspective, in-home deliveries are a solution to the problem of package theft. "As a researcher, I am fascinated and curious to see indeed how many consumers will take advantage" of Amazon Key, says Acquisti, "because that will tell us something interesting about, to what extent we now trust corporations with both our digital data and our very real, very off-line, very physical lives, such as the entrance to your house?" Amazon Key's intrusiveness — what with the camera inside your home and software controlling your door — faced skepticism as soon as it was announced in October. A Washington Post opinion column proclaimed it "Silicon Valley at its most out-of-touch." Satirical newspaper The Onion ran with, "Popular New Amazon Service Just Comes To Your House And Kills You." Several polls found a majority of Americans uncomfortable with the in-home delivery offer. But, as Acquisti puts it, we are constantly redrawing the boundaries of what we consider private. "You can imagine a scenario where — someone who already has an Alexa (Amazon's home assistant) and they are already comfortable with Amazon collecting information about their behavior and preferences," says Mary Madden, a privacy researcher at the Data & Society Research Institute. Plus, there are other well-studied factors: We feel more comfortable revealing private details when we see other people in our circle doing it, and we do it more readily in a pinch — when you really need the app or the service and the company doesn't give you an easy out. Already observers are saying that Amazon Key could trigger the same major cultural shift — as Uber did for willingness to get into strangers' cars, or Airbnb did for staying at strangers' houses. To Madden, who is leery of Amazon Key, the major question is who's driving the cultural shift: Is it consumers demanding to trade off private details for more convenience, or companies making it very hard to resist? "I don't think people are necessarily making fully informed decisions about all the implications of the use of (their) data. And I don't think they reasonably can," she says. Acquisti's research cleverly refers to this idea — consumers' efforts to stay on top of their own data privacy as companies keep pushing the envelope — as the task for "a modern Sisyphus." "We are in a time," says Madden, "where even people who study these issues for a living can't keep up with all of the potential uses and implications."